Volvo enjoyed a year of unprecedented awards success in the UK in 2018, receiving 43 major honours from the media, motoring organisations and the wider creative industry. The stunning scale of achievement was reflected internationally, too, with the Volvo XC40 premium compact SUV named European Car of the Year and the XC60 mid-size SUV acclaimed as the World Car of the Year. 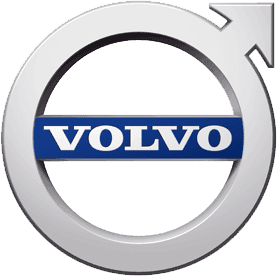 The honours list included manufacturer and brand of the year titles for Volvo, notably from the consumer organisation Which?, along with carwow, BusinessCar, Motor Trader and AM (Automotive Management). There were awards for all three Volvo SUVs, with the new mid-size XC60 claiming 12, including UK Car of the Year, Best Car from Auto Trader and Best Large SUV from Fleet World. The XC60 also claimed three trophies from the Caravan and Motorhome Club, including Towcar of the Year, while the T8 Twin Engine version was named DrivingElectric's Large Plug-in Hybrid of the Year. The compact XC40 was equally successful, also winning a tally of 12 awards, including the prestigious What Car? Car of the Year title, BBC TopGear Magazine's Sensible SUV of the Year and Auto Express's Small Premium SUV class win. It was hailed as a 'Game Changer' of the year by Autocar as well. It wasn't just SUVs revelling in the glory, though. Later in the year, the launch of the new V60 premium estate delivered further success, with family car awards from Parkers and News UK, and the Practicality Award from carwow. It was also named Estate Car of the Year in the Scottish Car of the Year Awards and best Compact Executive by Carbuyer. Jon Wakefield, Volvo Car UK Managing Director, said: "This exceptional run of awards is humbling, but each one is appreciated for the vote of confidence it represents in what we are doing to extend the all-round strength and appeal of our brand. With more exciting new products in the pipeline, we remain committed to doing even more in the future to deliver cars that take design, technology and desirability to even higher levels."